Action Lab Entertainment has a hit with CHARLES BAND’S PUPPET MASTER, the horror comic book series based on the popular film series from FULL MOON ENTERTAINMENT. Now the publisher is proud to announce they will be bringing another one of the studio’s classic film series to the comic world with TRANCERS, as part of their brand new comics line, FULL MOON PRESENTS. 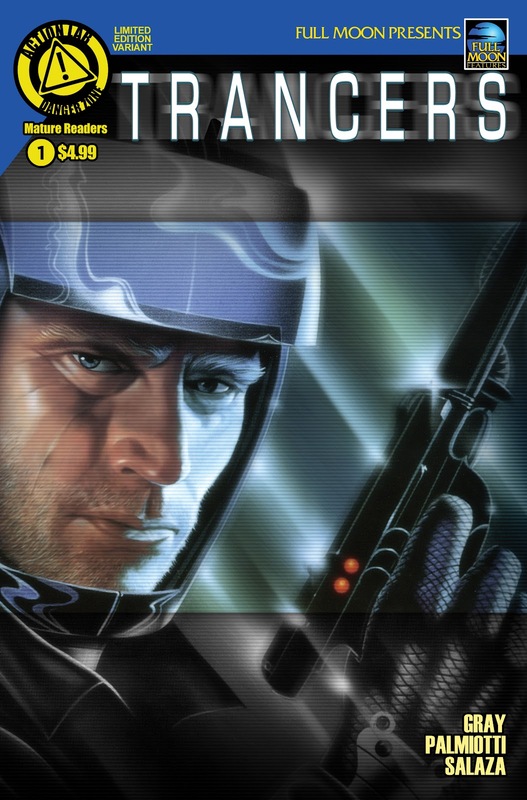 Written by legendary creators Justin Gray and Jimmy Palmiotti (Starfire, Harley Quinn) and based on the cult film series starring Tim Thomerson and Academy Award winner Helen Hunt, Trancers is the story of decorated Police Trooper Jack Deth. A cop from the far flung future of the year 2247, Jack must travel back to 1985 Los Angles on a one-way mission to capture a fugitive with the power to transform ordinary people into psychotic killing machines. 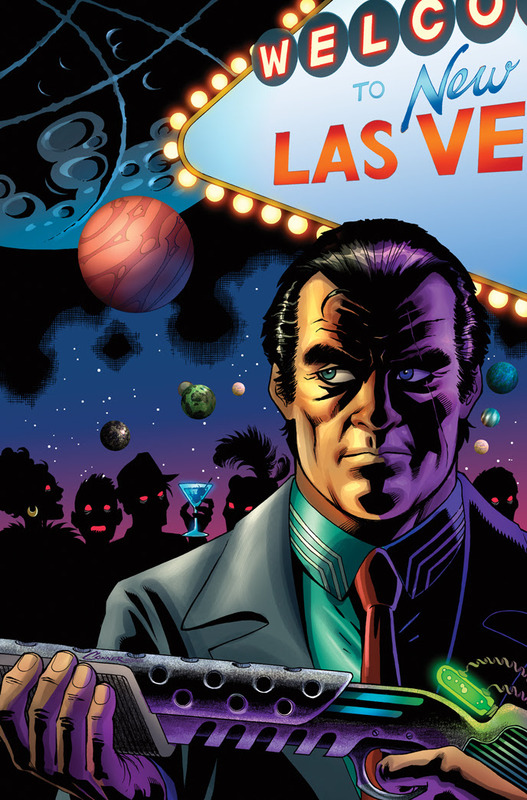 With Trancers, Gray and Palmiotti break ground on the Full Moon Presents line of comics, featuring an all-star creator line-up including Tim Seeley (Hack/Slash, Revival, Grayson), Brockton McKinney (Zoe Dare, Ehmm Theory), Dan Mendoza (Zombie Tramp), and Puppet Master-mind Shawn Gabborin . The first issue will feature a variant cover by Amanda Conner (Starfire, Power Girl and Harley Quinn). Full Moon Presents: Trancers #1 is scheduled for an October 2015 release. Additional FULL MOON PRESENTS titles featuring the works of legendary writer/director Charles Band, Peter David (Oblivion), and David Goyer (Demonic Toys) showcasing more of the studio's cult and modern classics will follow from Action Lab: Danger Zone in 2016!